Gwen Gilbert is our female athlete of the week. “Gwen just competed in her first varsity track meet at Montgomery County last week. Gwen competed in the 200 Meter Run, 4X200 Meter Relay, Triple Jump, and Long Jump. She placed 8th in the Triple Jump and ran on the 4X200 Meter Relay team that placed 5th. Although she is just a freshman, Gwen sets a great example for the rest of team with her willingness to outwork others. It is nice to see that her hard work is already paying dividends. I’m excited to watch her improve over the course of this season and in the coming years as Gwen has a very bright future ahead of her in track,” saiid Coach Jordan Sammelmann. Gwen is the daughter of Mike and Julie Henry and Jeremy and Kristin Gilbert. 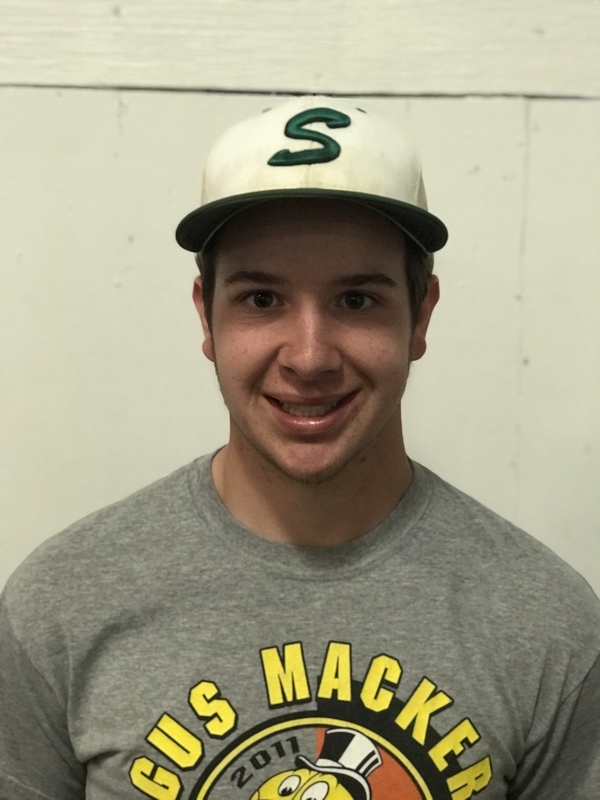 Brian Henke is our male athlete of the week. “Brian is having a great start to his season. In our first two games he has thrown 8.1 innings and not allowed a run while logging 14 strikeouts and a .000 earned run average. Opponents are batting .077 when Brian is on the mound. Offensively, Brian is seeing the ball extremely well and is sporting an .800 batting average. He is leading the team in hits, average, and RBI’s,” said Coach Kent Hufty. Brian is the son of Ben and Debbie Henke.